Looking for a fun event that features celebrities, live entertainment and auctions all while helping local children? 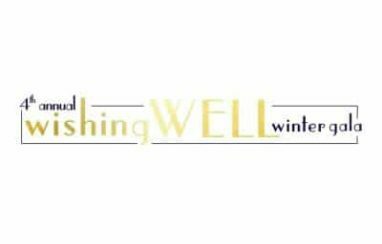 Attend the 4th Annual Wishing Well Winter Gala in Los Angeles! The event takes place at the Hollywood Palladium (6215 Sunset Blvd.) starting at 6 p.m. on Dec. 7. The Wishing Well Gala is Make-A-Wish Los Angeles’ biggest event of the year and you can be a part of it. Tickets, tables and sponsorships are available online. Individual tickets are $500 each or you can purchase a table of 10 for $5,000. Sponsorships range from $10,000 to $100,000 and include many perks for you or your company. Check out all of the ticket and sponsorship options on the event website. More than 750 guests attend the Gala each year. Since 2013, the Gala has raised more than $3 million, and your participation can help it continue to be a success. There are more than 350 children waiting to have their wishes granted in the Los Angeles area. Events like the Gala help Make-A-Wish reach more of these kids each year. In addition to helping Make-A-Wish Los Angeles, the evening will be made extra special by all of the live entertainment guests can enjoy. The evening will be hosted by Mario Lopez and will feature live and silent auctions as well as a musical performance by Grammy Nominee Tori Kelly. Guests can enjoy a cocktail hour from 6 to 7 p.m., followed by the dinner and program. There will also be Wish Kids and their families attending and you will have a chance to see firsthand how important the work of Make-A-Wish is. Another part of the evening’s program is to honor people in the community who are doing great work for Make-A-Wish. This year’s honorees are Scooter Braun, Robert Downey Jr. and the LA Kings. If you can’t attend the Gala, there are many other ways you can support your local Make-A-Wish. One of the easiest ways is to donate an unwanted car, boat, RV or motorcycle to Wheels For Wishes. Our car donation program helps provide funding for Make-A-Wish Greater Los Angeles, so donating your car is a great way to contribute. Donors receive free towing from anywhere in California, as well as a great tax deduction. Donate before Dec. 31 at 11:59 and your donation will give you a tax deduction on this year’s taxes! If you have a car to donate, please give us a call at 1-877-431-9474 or fill out an online car donation form today.